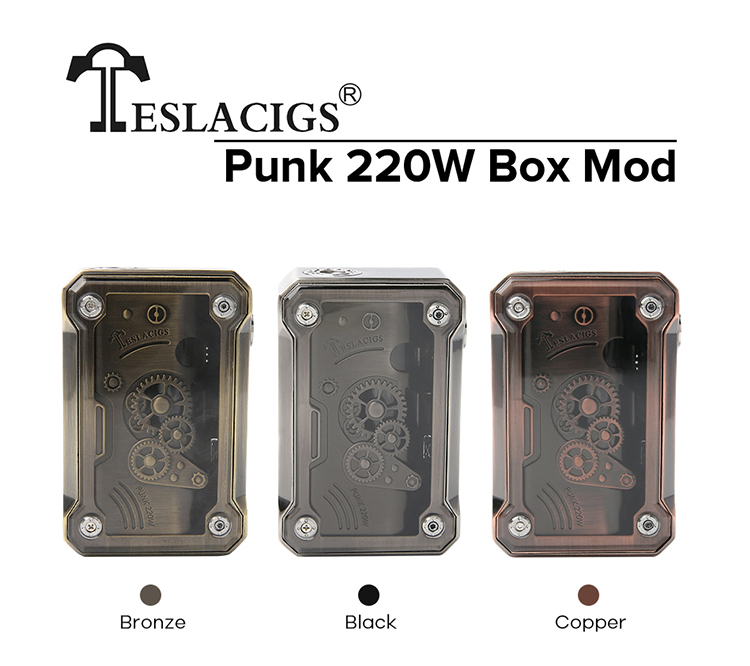 Punk 220W Box Mod is a retro style box mod produced by Teslacigs. 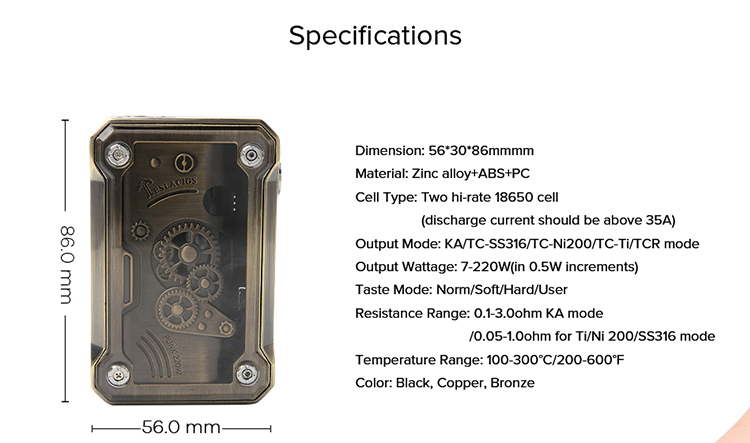 Made of zinc alloy, ABS and PC, Punk 220W Box Mod is designed to provide you with premium touch feeling. Vaping data will be displayed on the bright OLED screen. 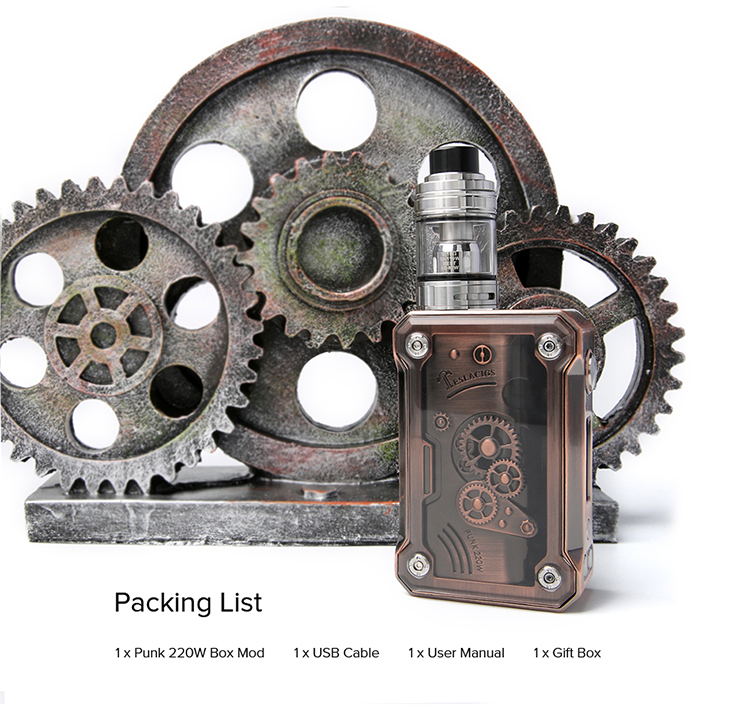 Elego is the sole exclusive agent of the Tesla Punk 220W Box Mod.